Today, the Georgia Upstate Lakes Board of REALTORs welcomed two of our six Corps of Engineers Rangers to the June meeting at the Big Oaks Recreation Center in Hartwell. Jason Whiting and Dustin Cullen updated the group on what is going on with the lake and shoreline management. The last update to the Shoreline Management Plan was in 2007 and a new revision comes out about once every 10 years, so the COE will be collecting public input soon on proposed changes to the plan. The lake remains healthy at 658.69 which is just over a foot below full pool. 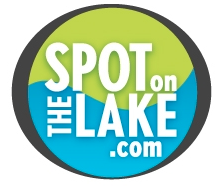 I am thankful for the job the COE does to help keep our lake great and also that they see the importance of keeping good communication with the REALTOR community. If you are considering property on Lake Hartwell, make sure to choose a seasoned lake specialist familiar with all of the rules of the lake.